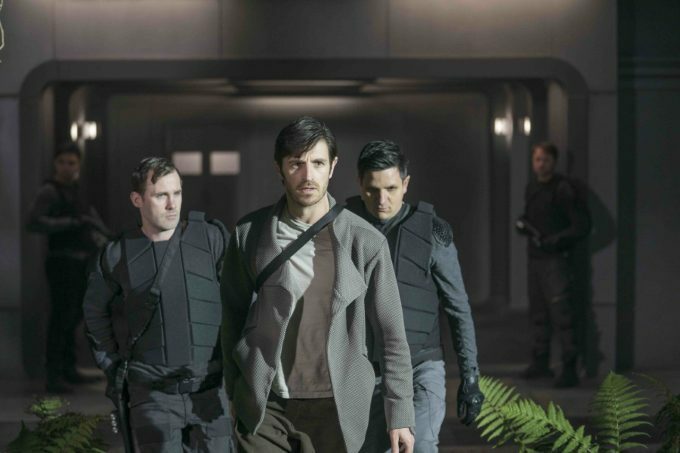 Filmed at Troy Studios in Limerick, and starring Irish actors, Eoin Macken and Brian F. O’Byrne, Nightflyers will be available on Netflix in Ireland, in early 2019. The season will consist of 10 episodes. Board at your own risk. Nightflyers follows eight maverick scientists and a powerful telepath, who embark on an expedition to the edge of our solar system aboard The Nightflyer – a ship with a small tightknit crew and a reclusive captain – in the hope of making contact with alien life. But when terrifying and violent events begin to take place, they start to question each other – and surviving the journey proves harder than anyone thought. Nightflyers is based on the novella by George R. R. Martin, who also serves as an executive producer, and is produced by Universal Cable Productions and co-produced by Netflix. Jeff Buhler wrote the adaptation for television, and is the showrunner and executive producer. Brian Nelson, Mike Cahill, and Andrew McCarthy serve as executive producers. Gretchen Mol (“Boardwalk Empire”) is set to star as Dr. Agatha Matheson alongside Eoin Macken (“The Night Shift”) as Karl D’Branin, David Ajala (“Fast & Furious 6”) as Roy Eris, Sam Strike (“EastEnders”) as Thale, Maya Eshet (“Teen Wolf”) as Lommie, Angus Sampson (“Fargo”) as Rowan, Jodie Turner-Smith (“The Last Ship”) as Melantha Jhirl and Brían F. O’Byrne (“Million Dollar Baby”) as Auggie. Gene Klein, David Bartis and Doug Liman from Hypnotic; Alison Rosenzweig and Michael Gaeta of Gaeta Rosenzweig Films; and Lloyd Ivan Miller and Alice P. Neuhauser of Lloyd Ivan Miller Productions also serve as executive producers. Nightflyers will launch on Netflix outside of the US in 2019. The season will consist of 10 episodes.